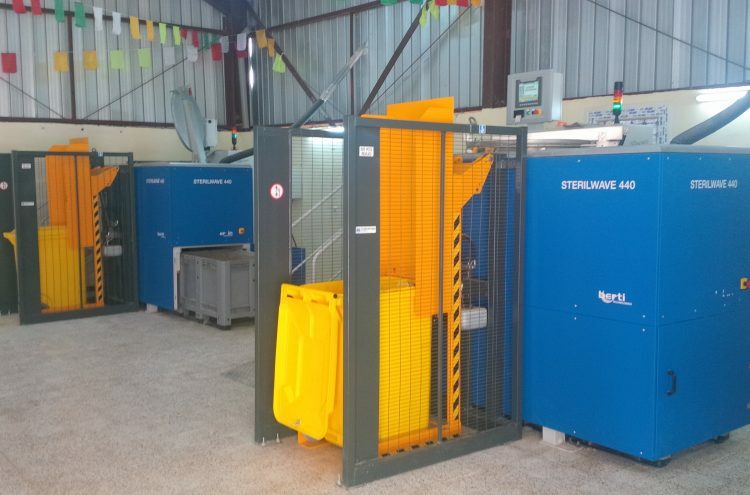 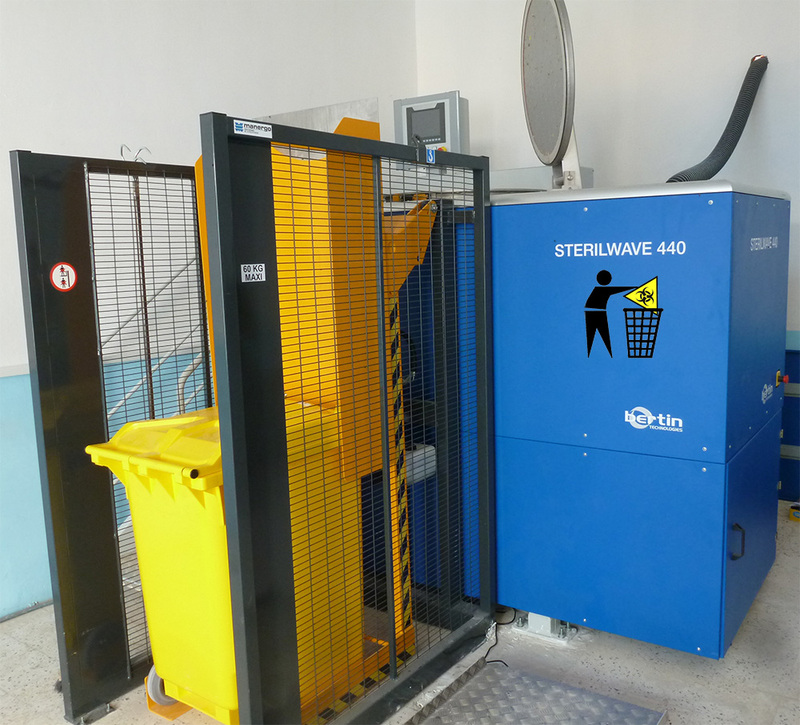 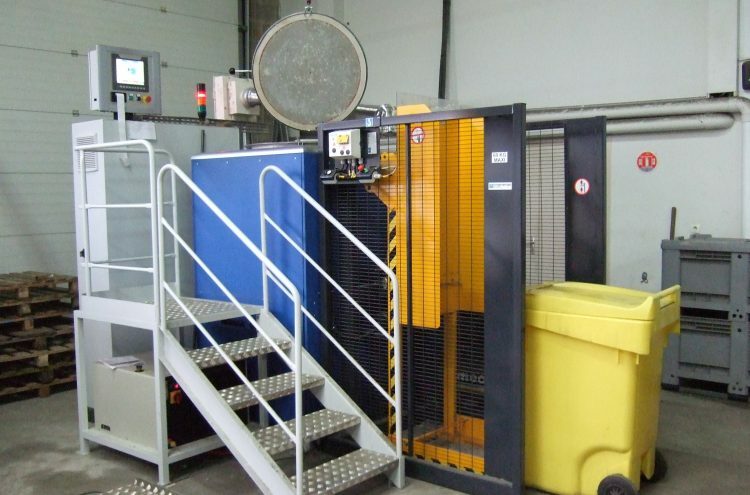 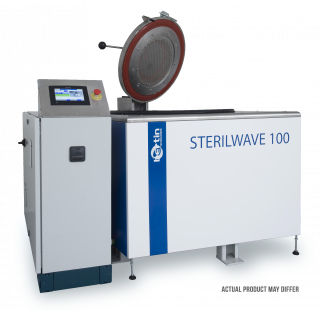 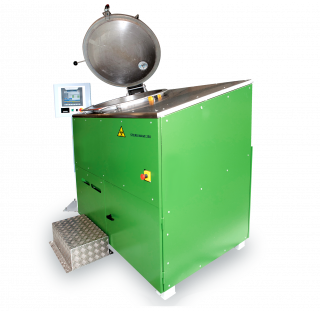 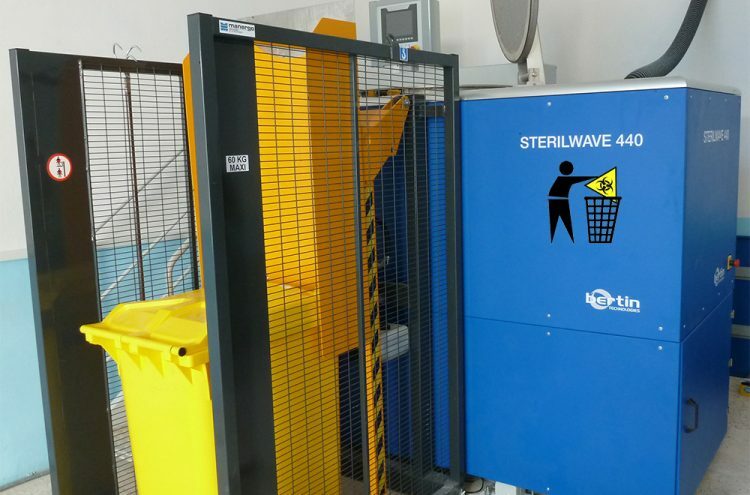 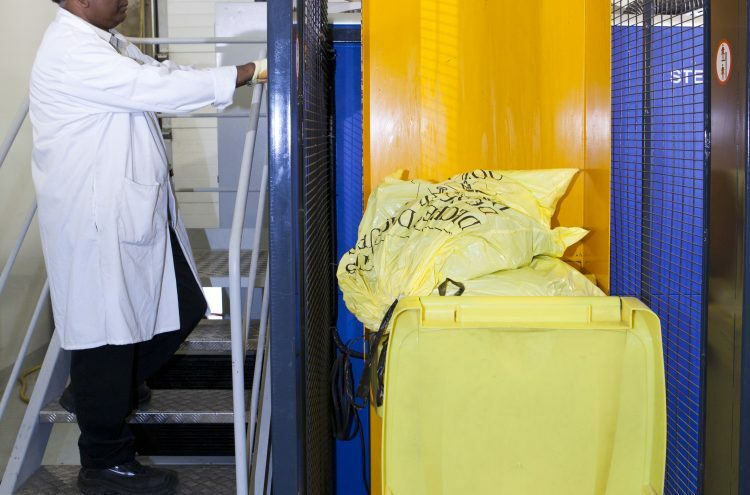 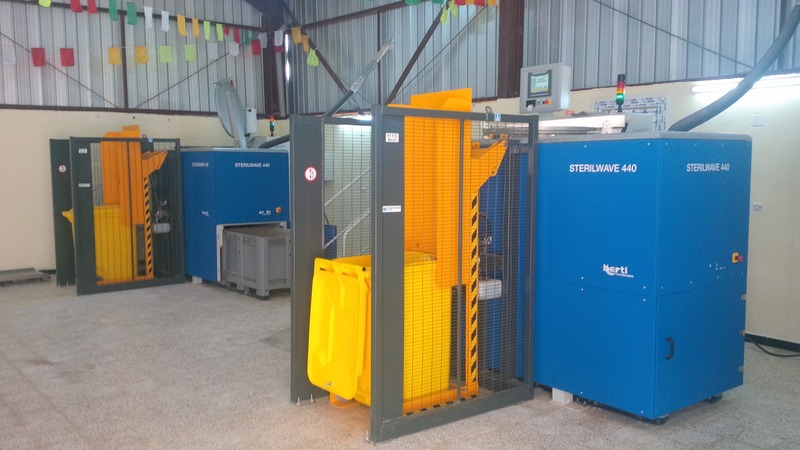 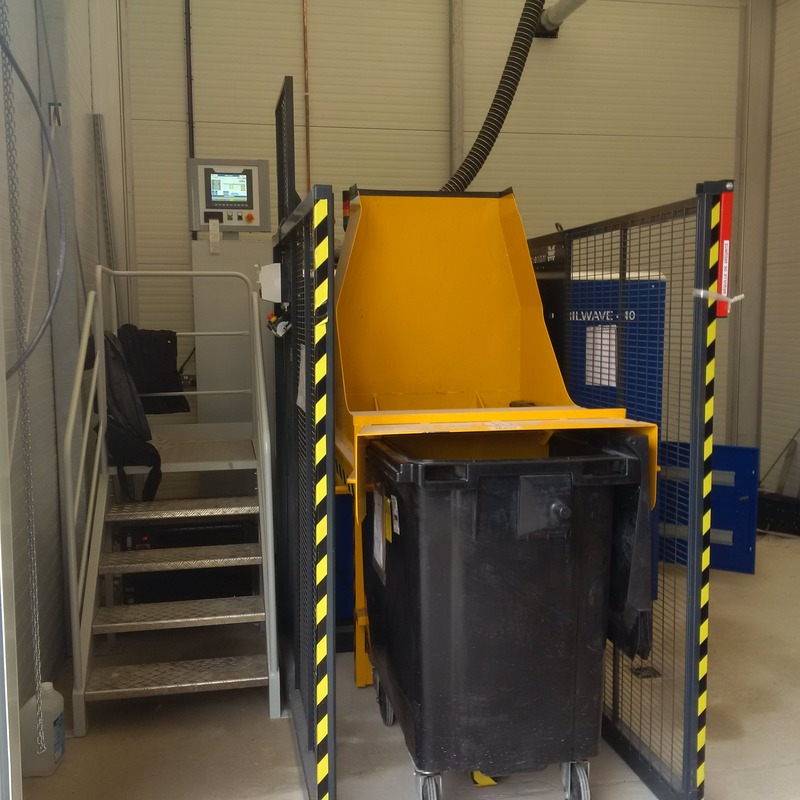 Bertin Medical Waste has developed different types of container tipper machines for automatic loading of biomedical waste into the Sterilwave vessel. 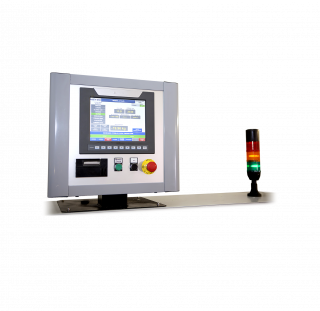 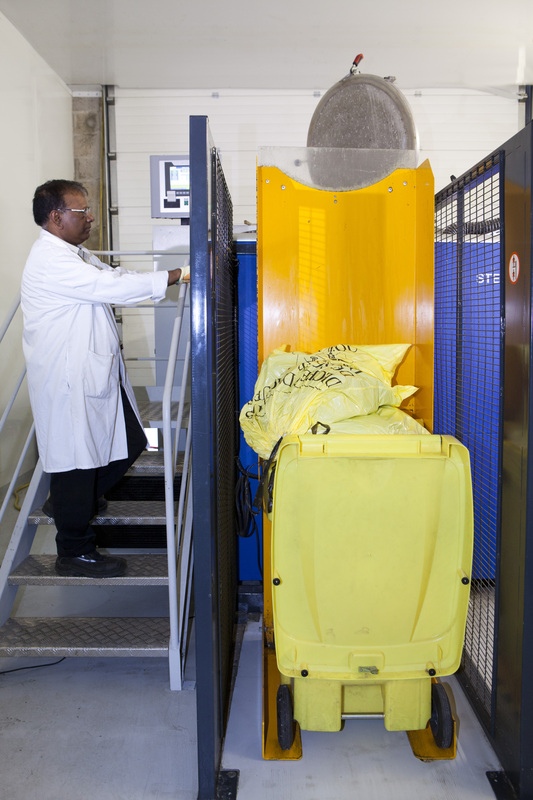 These loading methods using a tipping motion allow safe handling by the operator and save time during the loading phase. 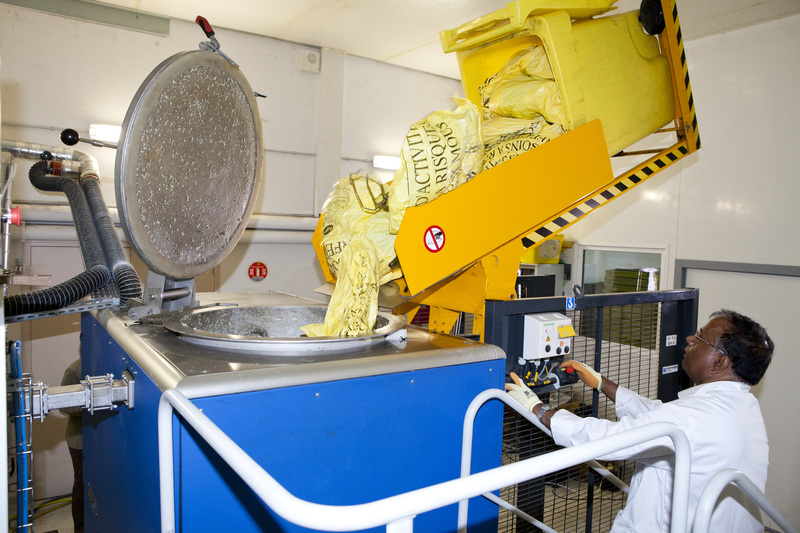 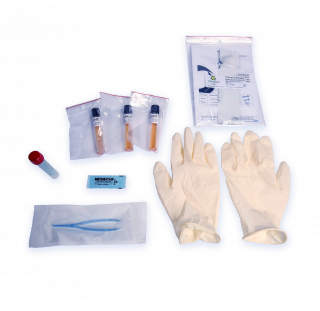 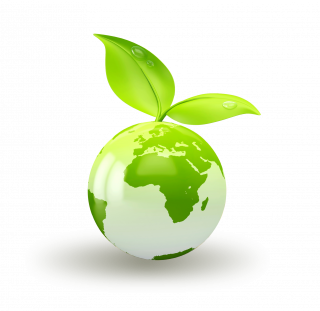 Risks of contamination are therefore reduced and productivity increased. 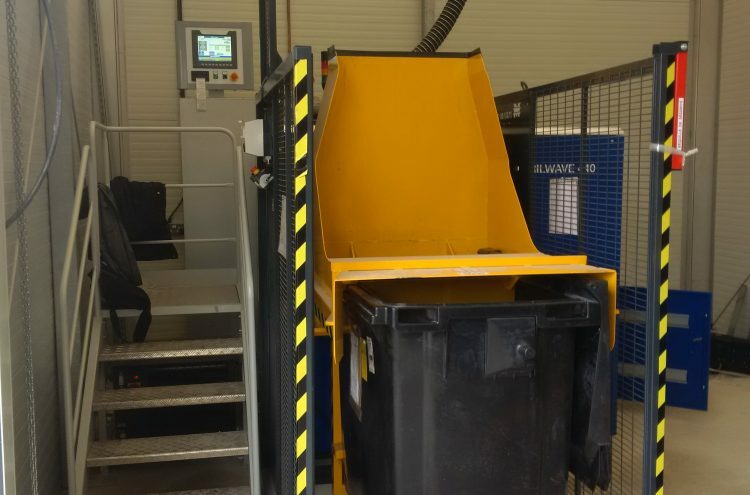 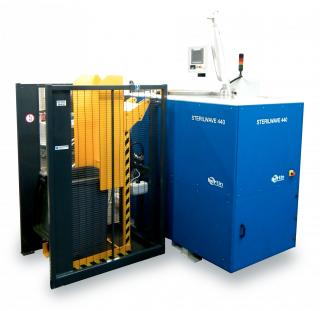 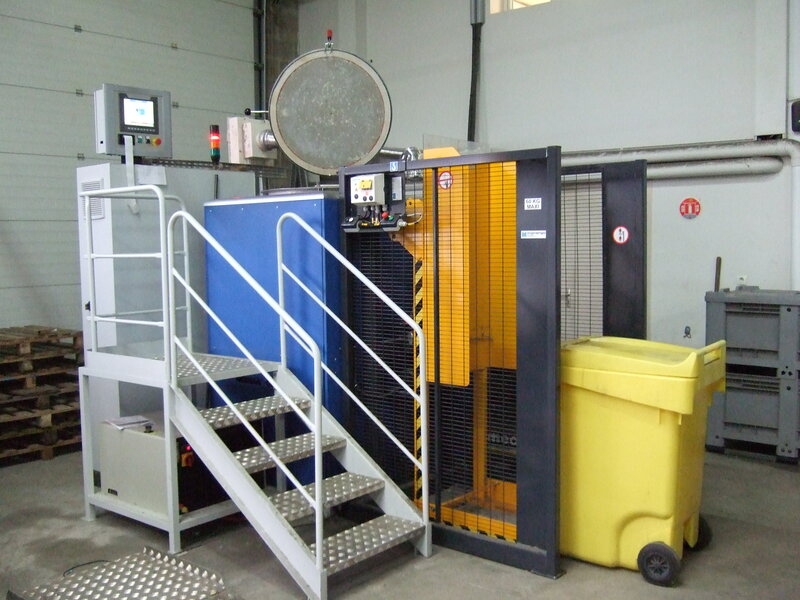 We offer a 240-litre container tipper machine for Sterilwave 250, and a 360-litre version for Sterilwave 440. 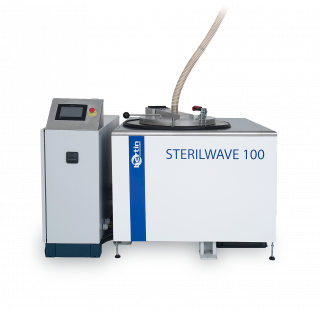 We can supply a 1,000-litre version upon request. 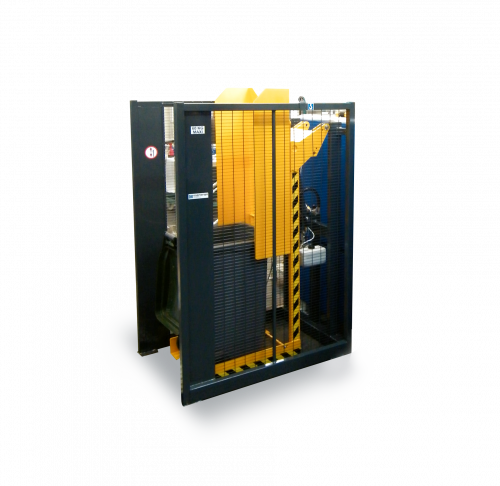 Other sizes can also be adapted to fit our equipment.